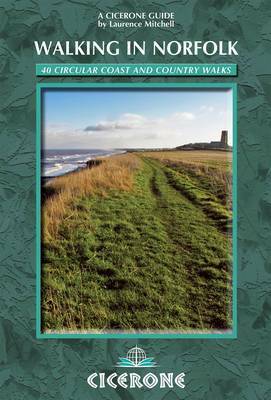 This book describes 40 easy-to-moderate circular day walks, grouped by area: Northeast coast and the Broads; South Norfolk, the Yare and the Waveney; North Norfolk and coast; Central Norfolk and Breckland and West Norfolk and Fens. Each walk is described step-by-step, illustrated with 1:40K OS map extracts and packed with historical, geological and other information about the landscape the route passes through. The Fenland region of Norfolk's far west is flat and low-lying, as are the marshes and waterways of the Broads in the east, but between these two extremes there is a great deal of topography going on. The county is far more varied than most outsiders imagine, with several distinct and unique landscapes. As well as Broads and the Fens, it has the sandy Brecks, rolling farmland, ancient woodland, meandering rivers and the gorgeous North Norfolk coast with its beaches, shingle banks, salt marshes and tidal mud flats.